Jan. 25, 2019, 11:58 a.m. Remember the great blood moon of 2018? Not the one a few days ago, the one last July. Yeah, me neither. Google Trends, the data visualization firm Schema, and Axios partnered on a collaboration to show how long various news events stayed in the American consciousness in 2018, as evidenced by Google searches. A finding that will not be surprising to anyone who had completely forgotten about that Hawaii false missile alert until they read this sentence is that “the news cycles for some of the biggest moments of 2018 only lasted for a median of seven days — from the very beginning of higher-than-normal interest until the Google searches fizzled out.” And honestly, even seven days seems surprisingly long — you only get there by including big sustained stories like the Brett Kavanaugh nomination and the midterm elections. Is seven days long or short? Pretty much impossible to say, given the non-scientific sampling of stories here. These aren’t average stories; they’re stories picked because they had outsized impact and staying power. So just go look at the pretty pictures and relax about science, it’s Friday. We find that the rapidly-fading information contains significantly more words related to negative emotion, actions, and more complicated cognitive processes, whereas the persistent information contains more words related to positive emotion, leisure, and lifestyle. We find that the peak of news-media attention of a phrase typically comes 2.5 hours earlier than the peak attention of the blogosphere. 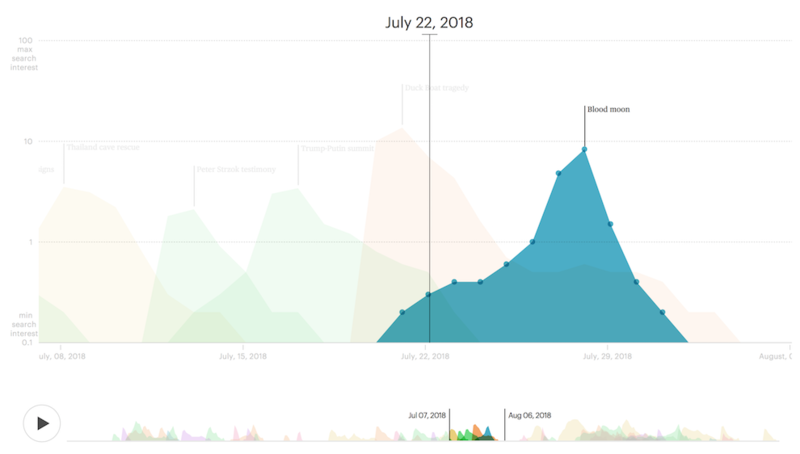 Moreover, if we look at the proportion of phrase mentions in blogs in a few-hour window around the peak, it displays a characteristic “heartbeat”-type shape as the meme bounces between mainstream media and blogs. We further break down the analysis to the level of individual blogs and news sources, characterizing the typical amount by which each source leads or lags the overall peak. Among the “fastest” sources we find a number of popular political blogs; this measure thus suggests a way of identifying sites that are regularly far ahead of the bulk of media attention to a topic. We describe the interplay between website visitation patterns and social media reactions to news content…We also find that social media reactions can help predict future visitation patterns early and accurately. We validate our methods using qualitative analysis as well as quantitative analysis on data from a large international news network, for a set of articles generating more than 3,000,000 visits and 200,000 social media reactions. We show that it is possible to model accurately the overall traffic articles will ultimately receive by observing the first ten to twenty minutes of social media reactions. Achieving the same prediction accuracy with visits alone would require to wait for three hours of data. The imperative on speed in the news media, combined with the inverted pyramid form of news writing, have well-documented strengths, enabling important information to be communicated quickly and clearly. A preoccupation with this part of journalism practice, however, within the news media industry and among scholars, obscures what James Carey has called the “curriculum of journalism.” To be properly understood, Carey argued journalism needs to be examined as a corpus that includes a wide range of materials extending to book-length journalism. Longer articles and book-length works add substantially to the store of relevant and newsworthy information. They also significantly enlarge public understanding of people, events and issues of the day by exploring them in depth, usually by taking a narrative approach in the writing. This article brings to the fore the contribution of these slower forms of journalism by examining immediate and longer-term coverage of two historic news events: the dropping of the first atomic bomb, at Hiroshima in 1945, and the invasion of Iraq by United States-led forces in 2003. 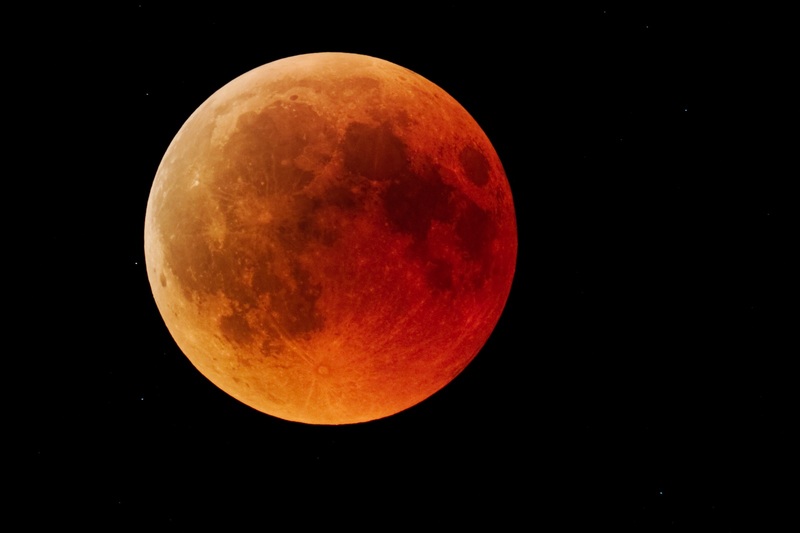 Photo of the 2018 blood moon by B. K. used under a Creative Commons license. Owen, Laura Hazard. "A typical big news story in 2018 lasted about 7 days (until we moved on to the next crisis)." Nieman Journalism Lab. Nieman Foundation for Journalism at Harvard, 25 Jan. 2019. Web. 18 Apr. 2019. Owen, Laura Hazard. "A typical big news story in 2018 lasted about 7 days (until we moved on to the next crisis)." Nieman Journalism Lab. Last modified January 25, 2019. Accessed April 18, 2019. https://www.niemanlab.org/2019/01/a-typical-big-news-story-in-2018-lasted-about-7-days-until-we-moved-on-to-the-next-crisis/.